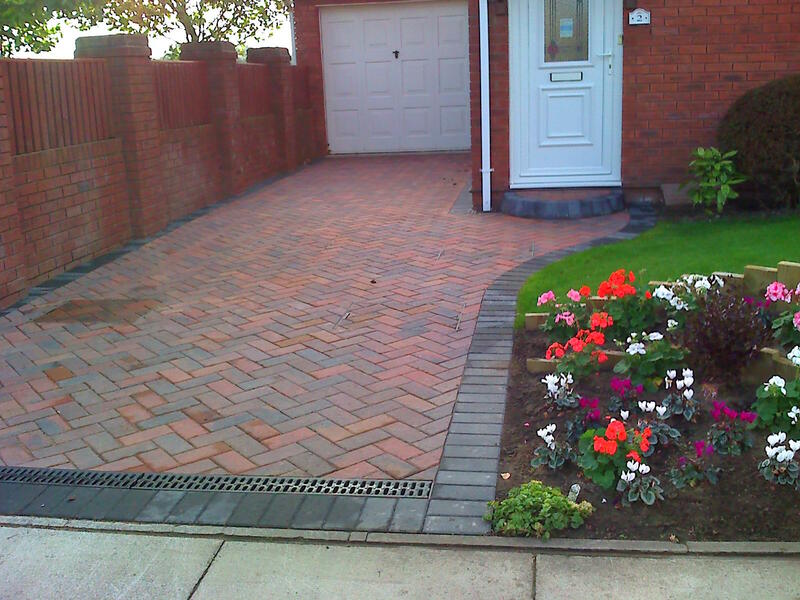 A Marshalls Driveline 50 driveway, in Brindle with charcoal edging. 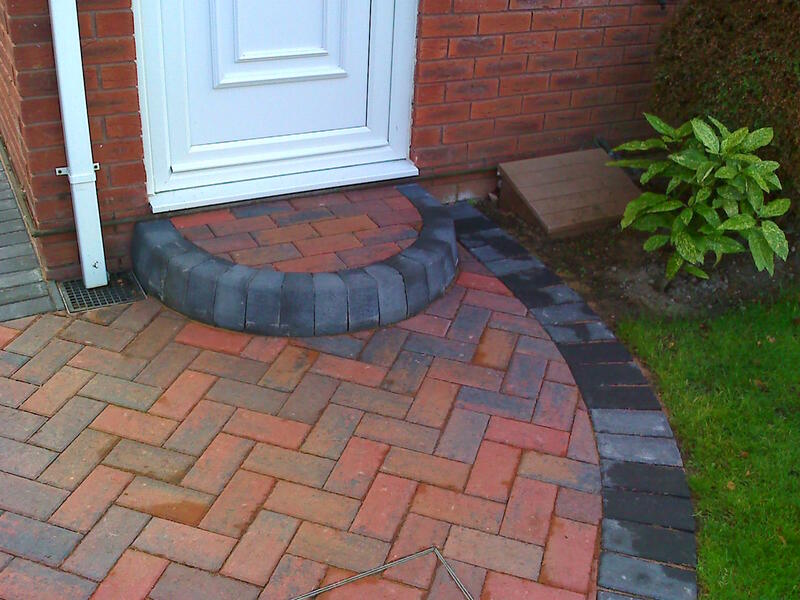 We have incorporated an ACO drain connected to a Soakaway and a new step. 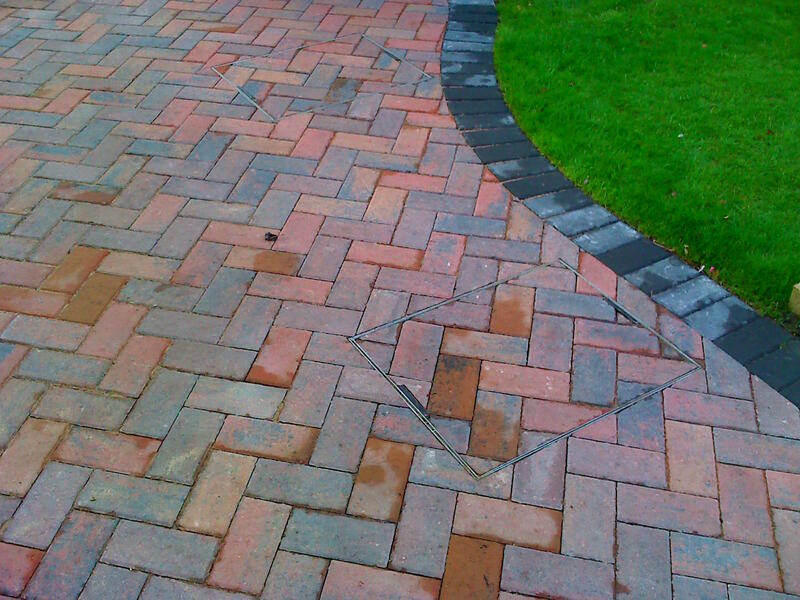 You will notice how the manhole blends in with the paving, by our careful cutting of the blocks. 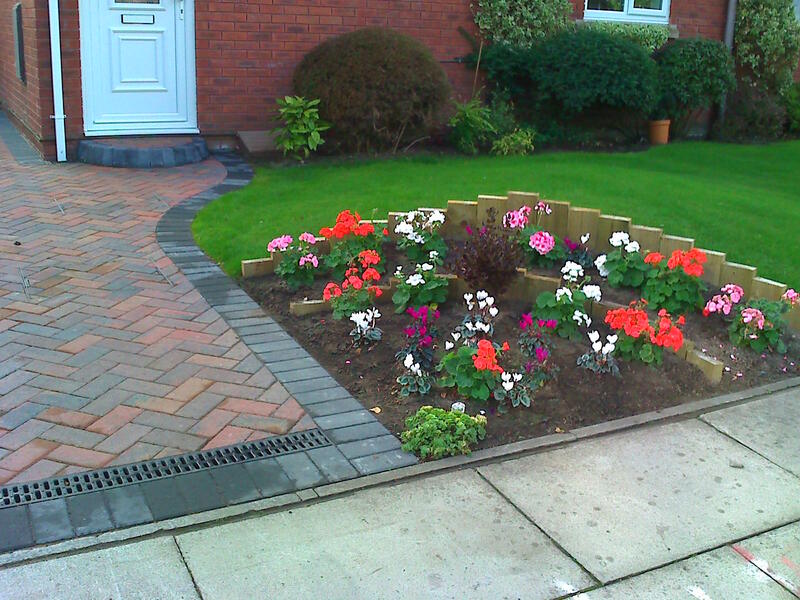 We have also created a lovely new planting area.